OPPO Malaysia will be giving away a full unit of the OPPO F5 to a lucky winner with the conjunction of the launching event. The contest starts from 2nd November, 3.15pm – 3rd November 2017, 11.59pm. 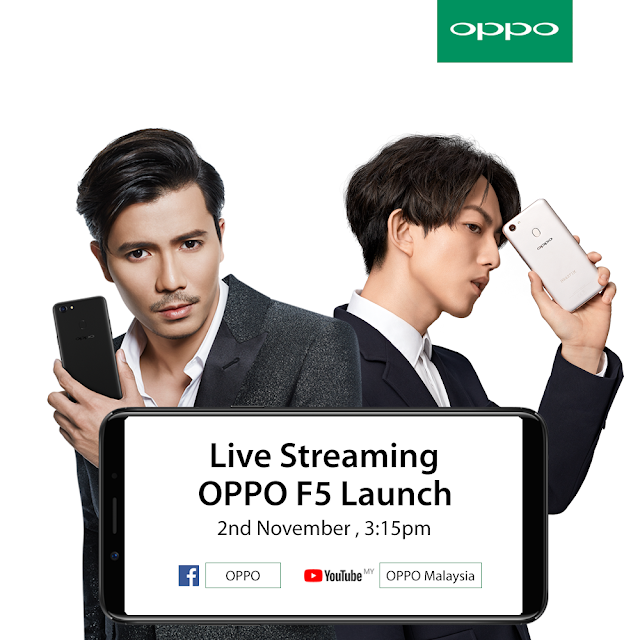 Step 1: Watch the OPPO F5 launch live stream on OPPO Facebook Page, https://www.facebook.com/malaysiaoppo/ and comment on it. Step 2: Share the post of F5 launch live steam Facebook post and set the post as public. On a side note, OPPO F5 6GB will also be launched on the 2nd November 2017. The special F5 6GB version sports 6GB RAM + 64GB ROM. On the other hand, since OPPO camera phone are deeply loved by many youngsters, the company will also be launching F5 youth version for the young consumers. This is to ensure that they can enjoy a premium selfie photography experience at an affordable price!